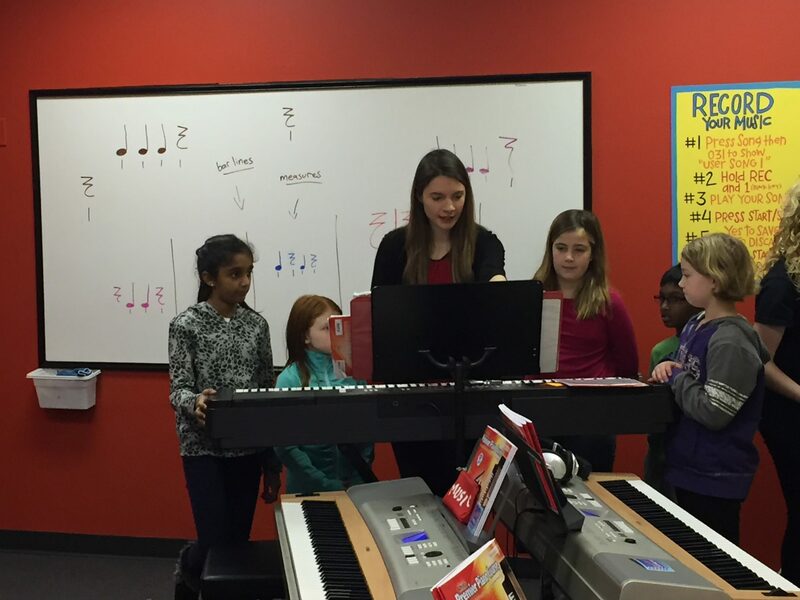 Arrow Academy of Music began serving piano and guitar students in the Des Moines area in 2010. 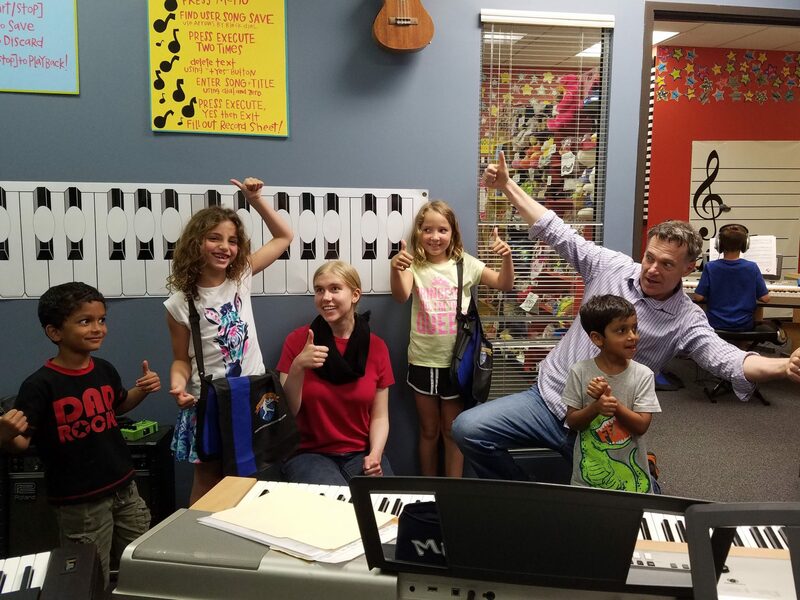 Since those very first days, the Bellile family has worked to bring their love for music and education into the classroom and lead students along their own musical journeys. Together, Kevin and Kellee Bellile, have used their talents to format lessons into a unique learning experience that educates young musicians to not only play their instrument well, but to understand how music is composed, and how to play with others. A music teacher is someone that has great influence on a young person’s life. Sharing music with someone is a special bond. We relentlessly pursue the best possible music education experience. We care about your family. We feel called by God to bring honor (value) and blessing (empower to prosper in life) to everyone who enters our doors. We take that very seriously. 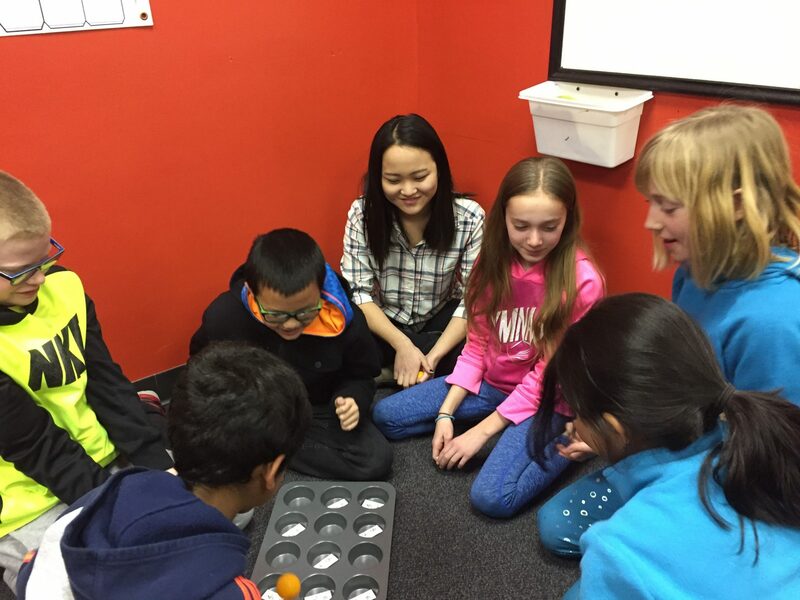 We offer many fun activities during lessons, unique performance opportunities, and built-in incentives. Together, these elements are designed so the parent’s job of maintaining their child’s motivation is minimized. We are highly trained college-educated teachers with unique skills and more than 30 years of experience teaching music and leading people. Our policy is that if you feel that our programs don’t fit your family, you may quit at any time and not be responsible for further tuition. We give that guarantee because we’re confident that we won’t have to use it! Give us a try! 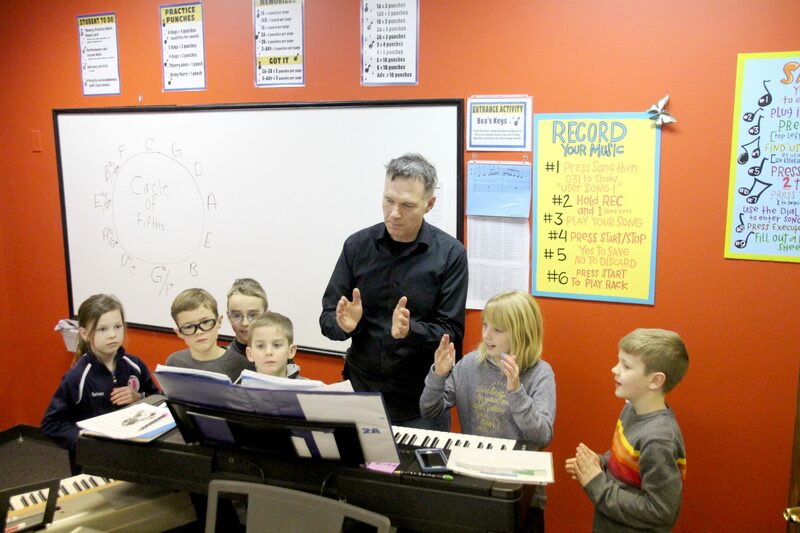 Music lessons take place at our studio in Urbandale, conveniently located close to I-80 to serve the Des Moines community and surrounding area. Rewards are given for practicing, participation, and other accomplishments, which can be used to purchase toys, games, candy, and other fun items in our studio store. Students are given detailed practice instructions weekly and encouraged to practice 6 days a week. Trophies are awarded for faithful and consistent practicing. Thank you soooo much for teaching me everything I know about piano and guitar. I couldn’t have learned it any better anywhere else! The classes are always super fun and exciting. I love how you care so much about me and the other students, and I will never stop playing piano and guitar. The kids are very excited to take piano lessons with you again this year. You are a very gifted instructor, and we appreciate how well you work with our children. We look forward to another great year! I wanted to let you know how much I have appreciated taking lessons from you. I learned SO much, and because of you I feel that I am a much more advanced musician than I was before. I feel so lucky to have you guys in my life – you and your family are the sweetest people I know. Thank you so much for everything you have taught me! Thank you for stretching and challenging our girls in your music classes! 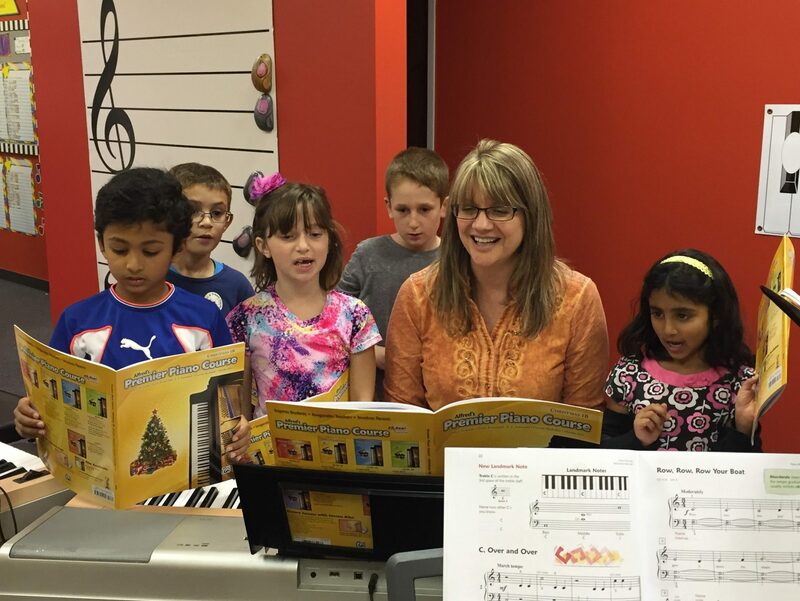 We are blessed to have you teaching them piano! We appreciate you! Thank you for being kind to us this year. My favorite part is performing in front of everyone. I also like to play for my friends. They enjoy it, and so do I!